Ever wanted to play a multi-player game where you control all of your team mates? Now you can! Time Rifters is a single player co-op game where 'time rifts' allow you to be your own team mates. Unlock upgrades and customize each of your time clones. Strategically plan your attack with yourself in the past & future. Our game for the Oculus/IndieCade VRJam is progressing well, but we would love to know what you think. Feel free to check out the demo and leave any feedback/comments on our facebook, sub-reddit or twitter. 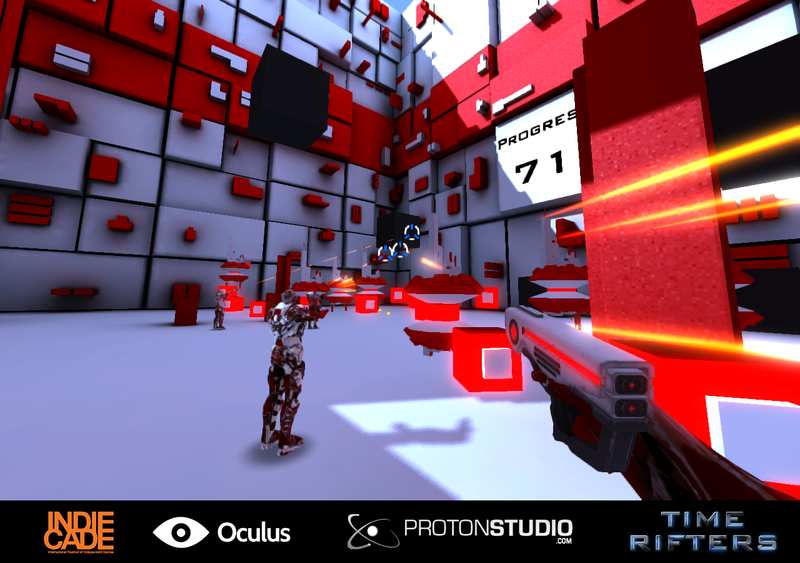 Check out the Time Rifters Download section for the latest build. Time Rifters 0.2 - Boss Battle!